Being locked out can quickly turn into a stressed out situation if you don’t know who to call for help. Pros On Call is ready and waiting to get you back inside. Our mobile 24-hour locksmiths in Katy, TX have the latest equipment and tools, and our technicians have at least five years experience helping people just like you. Plus, we’re affordable, reliable and fast. And we provide a complete range of locksmith services in your area. And you can always count on us because we are licensed, bonded, and insured. Plus, our friendly technicians will arrive at your location in 30 minutes or less and always give you honest advice and upfront prices. Katy, Texas, offers the simplicity of small town life, but that doesn’t mean you’ll never have problems. Imagine running errands and locking your keys in the car during the 90-degree summer heat. At Pros On Call, we consider that an emergency. Call, and we’ll get to you in 30 minutes or less. We can get your car unlocked in no time, and do a lot more. Here are some of the emergency locksmith services we provide. We can even get to you to provide emergency assistance if you are stuck all the way out at the George Bush Intercontinental Airport. Uh oh! You’ve locked your keys in the trunk, or broken a key in the door. Maybe you just can’t find the keys. How frustrating, especially when you have places to go. You won’t have to deal with that issue long when you contact Pros On Call, your 24-hour automotive locksmiths in Katy Texas. When it’s a car lockout situation, we have the services you need. What’s the point of having a lock if it doesn’t do the job? Whether you have a lockout, a broken lock or a faulty locking system, Pros On Call is ready with the experience and tools to put your locks securely back in place. Why wait for an appointment during normal business hours when we are a local locksmith who is on call for you 24-hours a day? Here’s what we can do for your commercial properties when you call our commercial locksmiths in Katy, TX. If you’re locked out of your house, Pros On Call can get the doors open fast. We offer affordable, reliable service any time you need us, even in the middle of the night. Plus, we open other doors when you need help. Bedroom, bathroom, garage, shed and more. Here are some of our residential locksmith services. No matter which of your locks is the problem, Pros On Call has the solution. Our lock services cover home, auto and business. Simple locks are easy, and hi-tech, high- security systems are a breeze. 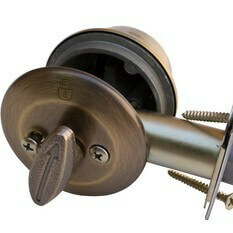 Adams Rite Manufacturing, ASSA ABLOY locks, we have the tools needed for any situation. No matter what type of lock brand you need services, we can handle it. Don’t let a little thing like lost keys be a habit. Put those keys on big, colorful keyring so they’re easy to spot. Always put them in the same place so you’ll know where they are, and keep a spare set with a friend in case of emergencies. Pros On Call has experienced technicians, the most up-to-date tools and a mission to give our customers what they need. We are fast and reliable and let you know upfront the prices you’re expected to pay. When you need lock and key assistance, let Pros On Call be your 24-hour locksmiths in Katy Texas. 24-Hour Locksmiths In Katy TX https://prosoncall.com/texas-locksmith/houston/katy/ 4.3/5 based upon 24 reviews.